This panoramic work--considered the finest novel in English by many critics--offers a complex look at English provincial life at a crucial historical moment, and, at the same time, dramatizes and explores some of the most potent myths of Victorian literature. 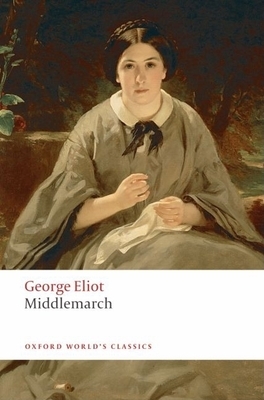 Taking place in the years leading up to the First Reform Bill of 1832, Middlemarch explores nearly every subject of concern to modern life: art, religion, science, politics, self, society, human relationships. Among her characters are some of the most remarkable portraits in English literature: Dorothea Brooke, the heroine, idealistic but naive; Rosamond Vincy, beautiful and egoistic: Edward Casaubon, the dry-as-dust scholar: Tertius Lydgate, the brilliant but morally-flawed physician: the passionate artist Will Ladislaw: and Fred Vincey and Mary Garth, childhood sweethearts whose charming courtship is one of the many humorous elements in the novel's rich comic vein. Felicia Bonaparte has provided a new Introduction for this updated edition, the text of which is taken from David Carroll's Clarendon Middlemarch (1986), the first critical edition.